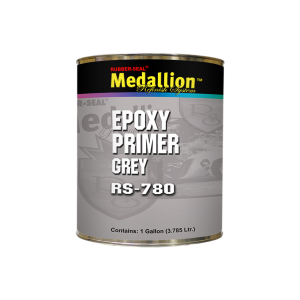 A fast-dry epoxy with excellent corrosion resistance and adhesion to a variety of properly prepared metals and some automotive plastics. It can be directly topcoated, wet-on-wet, with any topcoat system. Mixes 1:1 with RS-781 catalyst and National Rule compliant. Available in quarts and gallons.